Players 5 and 3 up screen. Players 1 and 2 cut towards hoop. 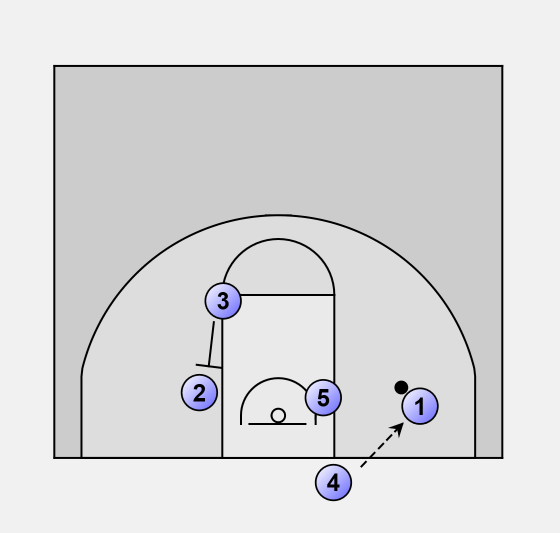 Players 2 and 3 then screen across the lane for 1 to break to the ball side corner and 5 towards the hoop. 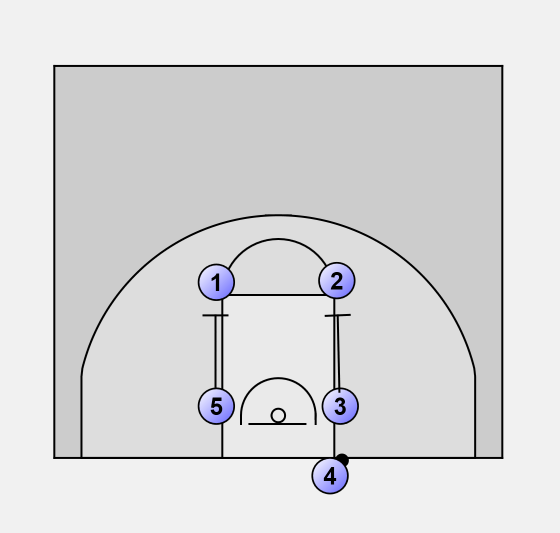 If 5 is not open, 4 passes to 1 and 3 down screens 2. 2 breaks to 3-point line for a possible shot. 1 then gets a screen from 3 and continues to opposite wing or corner for possible shot.